Dr. Moylan is a Montana native. He received his undergraduate degree from Carroll College in Helena, and his Doctorate of Veterinary Medicine from Colorado State University. 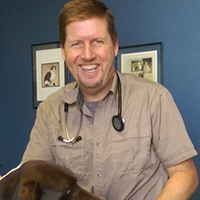 He has practiced veterinary medicine for 20 years and established Montana Veterinary Hospital in 1994. He and his family reside in Bozeman, where they enjoy the outdoor lifestyle that south-west Montana offers. RaeAnn grew up in northern lower Michigan and decided to make Montana her home in 1989. 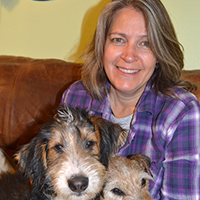 She has been working at MVH for 17 years, as a kennel technician, boarding facility manager, vet tech, and receptionist. RaeAnn really enjoys the friendships she has made with many clients and their pets over the years. When not at work she keeps busy with her two daughters many activities, as well as her love of hiking, biking, skiing, camping, fishing, ice skating, and horse related activities. Allison was born and raised in Michigan. She has a degree in Facility Management and Business Administration from Central Michigan university. An internship brought her to work out at The Big Mountain Ski Resort. She fell in love with the mountains and the outdoor lifestyle and decided to make Montana her home. 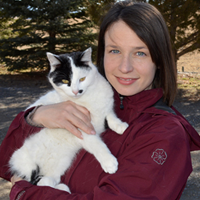 Allison joined Dr. Moylan at Montana Veterinary Hospital in the summer of 2007. She is the front office manager and also assists Dr. Moylan as a veterinary technician. Outside of work, Allison keeps busy with her husband and two little boys. They enjoy camping, hiking, and biking. She also enjoys cuddling with her big dog Buddy and three little kitties. Originally from California, Hannah moved to Montana to attend MSU. She graduated in 2014 with a degree in Animal Science. Hannah joined the MVH staff in the fall of 2013 as a kennel technician, and now also assists Dr. Moylan as a veterinary technician. 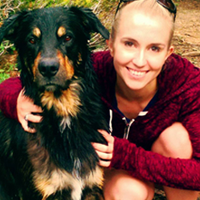 When she is not working, Hannah can be found prepping for vet school applications, hiking, running spartan races, and enjoying all that Bozeman has to offer with her handsome pup Draego.